A large portion of our day gets taken up looking for things. Even the hunt for something simple as a pen can cost you valuable minutes. Add them up over the course of a day, and you might find that you spend up to an hour just looking for things. That is why it is important to get organized so you know where everything is. That includes files on your computer and clothes in your closet. Our days can be broken up into “time zones.” There are times for sleep, eating, getting ready, relaxing, working and taking care of the family. When you apply those “zones” to a clock, you’ll find that there are some times when you’re more productive than at other times. Maybe you work better early in the morning before the family wakes up or late at night after that go to bed. You could hit your stride late in the morning and hit your peak by midafternoon. Whatever zone is your most productive is where you need to focus your priority tasks. “To do” lists are a great way to help you stay focused on your goals. These lists can be daily, weekly and monthly. You should review the list the night before so you know what you day is going to look like. That way you can make adjustments if an assignment might need extra time. You shouldn’t ever be surprised by a task deadline. How often do you say, “If you want something done right, then you have to do it yourself?” There is some truth in that adage but it shouldn’t come at the expense of you losing time. There are many tasks you could delegate that can save you time. 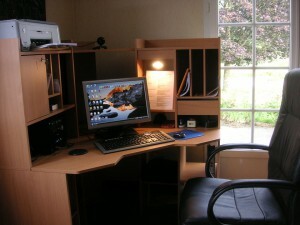 Consider getting rid of junk from around your house. This might be a chore on your “to do” list but instead of handling it on your own, your can hire Junk King Denver. 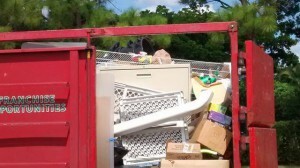 One call to these junk hauling pros is all it will take to clear out all the rubbish from your home and yards. When you hire Junk King Denver to haul away your junk, you’re going to save a lot of time. What will you do with all those extra hours? This entry was posted in Denver Junk Removal and tagged jjunk King, junk removal, time management on April 28, 2018 by Junk King. Last updated April 28, 2018 . Batter up! Baseball season has started and the History Colorado Center is getting into the spirit of America’s favorite pastime with Play Ball! a new exhibit that is described as “One of the greatest sets of baseball artifacts ever assembled outside the Hall of Fame.” There are more than 160 one-of-a-kind objects in the collection that has been put on display at the 3,000-square-foot temporary exhibition center. Visitors will be able to relive the past with uniforms, programs, and schedules from the Denver Bears, the MBL team that was in Colorado before the Rockies. It is a great exhibit for fans of the game, young and old. Do you have any baseball memorabilia in your home? Maybe you have other collectibles tucked away in a box or up in the attic. It’s a good time to go on an expedition in your home to see what keepsakes are being hidden away. It’s time to bring them out. Of course, that kind of searching might also remind you of all the things you want to get rid of. These could be pieces of furniture that isn’t being used or electronics that have been replaced. There could also be large kitchen appliances that were put in the garage after a remodel. It’s amazing at how quickly junk can add up and that’s where Junk King Denver comes into play. If you want to get rid of rubbish, then these are the professional junk haulers to hire. Junk King has already helped a lot of your Holly Hills neighbors and you might not have noticed. That’s because Junk King likes to get in and out as quickly as possible. Once on the site, the teams move fast. Regardless of how heavy something is or how it has to be twisted and turned to fit out the door, the Junk King teams have the experience to get the job done. Everything that is collected by Junk King will have a shot at getting repurposed either through a charity or a recycling center. That should make you feel good about getting rid of your rubbish. 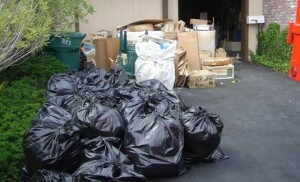 Bring Junk King Denver to your Holly Hills home and watch how fast they can clear out the junk. This entry was posted in Denver Junk Removal and tagged holly hills, Junk King, junk removal on April 1, 2018 by Junk King. Last updated April 1, 2018 .